You probably know I am a mahoosive fan of free and natural locks. It has been well over three years since I used shampoo or other products and I am experiencing shiny, thick, gorgeous tresses. Not only that, but loads of other people are too! There is a movement of people ditching the chemicals and finding brilliant hair. It must be THE most natural way to get shiny, conditioned hair. And at 30p a pop, pretty cheap too! *drumroll* may I present AN EGG! (Click for a link for more information.) Simply whisk an egg and coat your hair with it, mid shower. Make sure your head is cool, and when you come to wash it out, 3 minutes later, use cool water. Dab some essential oils on to get rid of any leftover smell (although fresh eggs won’t pong at all) and make sure you rinse it really superbly well. HELLO, UH-MAZING HAIR! It is the chemical-free hair movement’s secret weapon. A good hog hair brush. Brushing your hair with ones of these results in no breakage and brings out all your shine, whilst effectively distributing your oils. It is a must and will last your lifetime. In fact, I actually use my Nana’s ancient one! Hope these three hacks will help you save money on your hair care, and most of all discover a gorgeous barnet. Lucy blogs about parenting and eco-thrifty living at Lulastic. She is a natural beauty columnist for Cosmo and author of bestselling book NoPoo book Happy Hair. 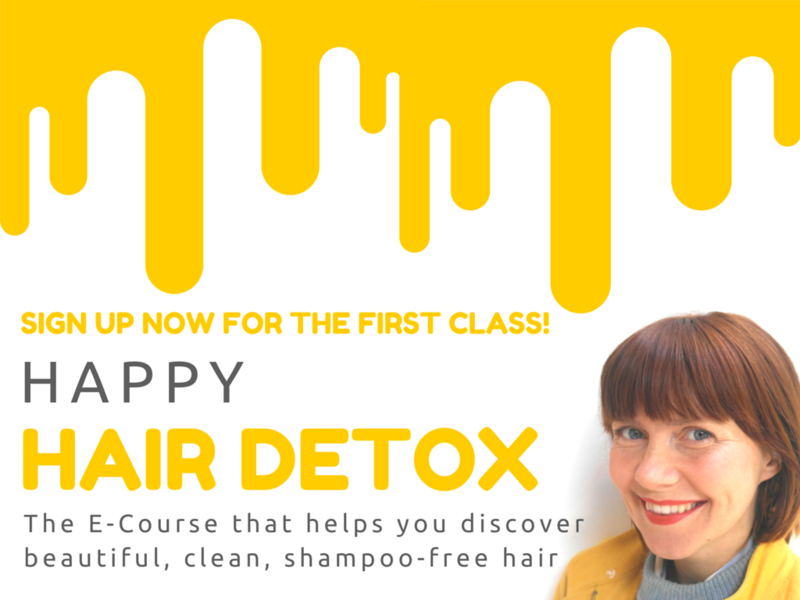 Detox your hair and detox your bin by joining her ecourse with a special WONDERTHRIFT voucher here.